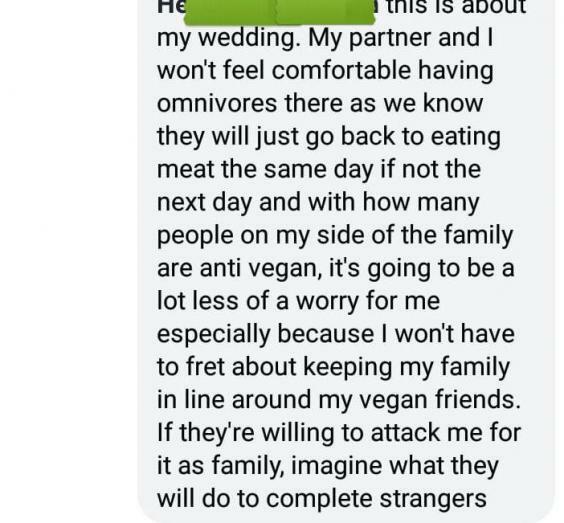 A VEGAN bride-to-be has gone viral online after it emerged that she was banning her own family from attending her wedding because they eat meat. 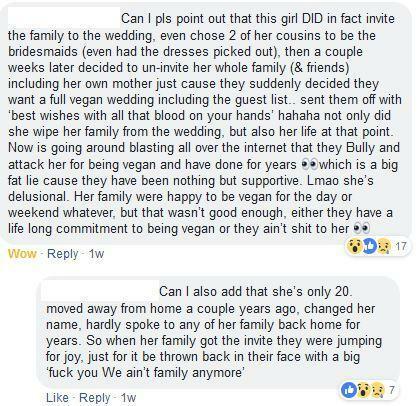 The story first emerged on social media after an unnamed bride posted her version of events on a Facebook page called Vegan Revolution. 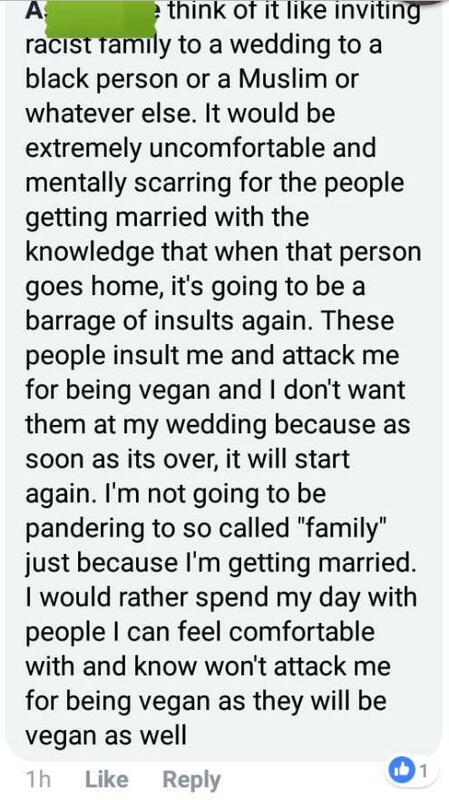 In the post, she confirmed her family had been uninvited because she and her soon-to-be husband didn’t want to host “murderers” at the event. Things then escalated when the post was shared by the anonymous user Gelatin-MonKey on Reddit, under the subreddit insanepeoplefacebook. 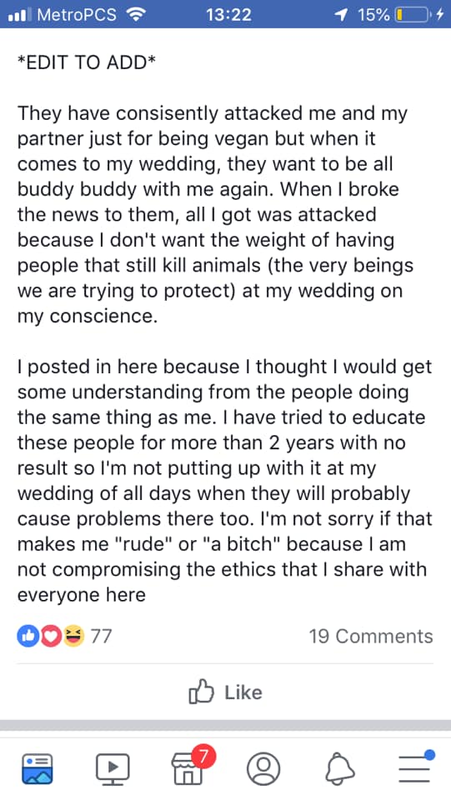 Fellow Reddit user Lockraemono then shared several screenshots from Facebook with subsequent posts revealing that several members of the bridal party had also been uninvited. 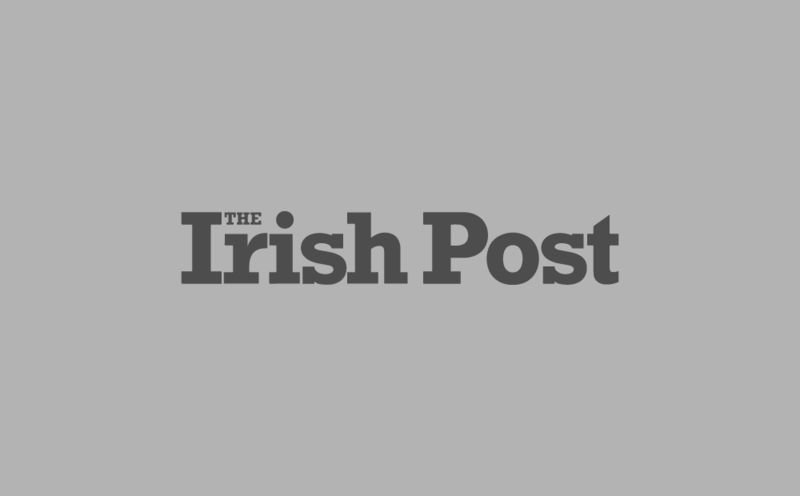 It wasn’t long before the bride’s original statement began to attract attention online, prompting a raft of negative responses. She then returned to provide an update on the situation, expressing shock at some of the comments and criticism she has come in for. 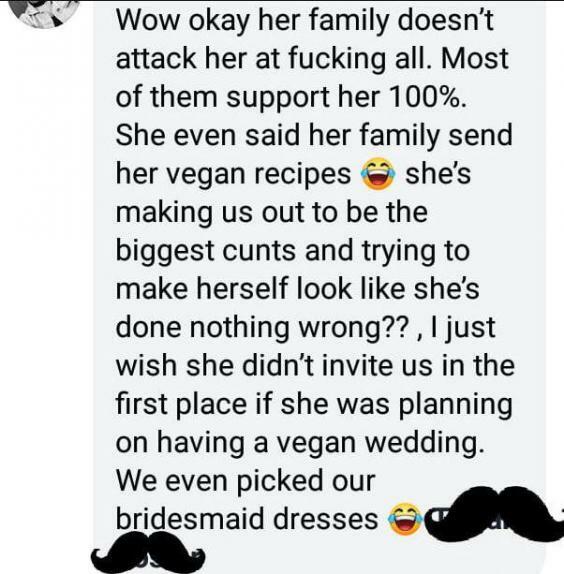 Things then got a little confusing when another bridesmaid popped up to back the bride’s vegan stance before adding that her family weren’t even invited to begin with. It has since emerged that the family were invited but then uninvited and that the bride is no longer on speaking terms. Despite the confusion, a few things are clear: there will be no meat at this wedding and no family of the bride.